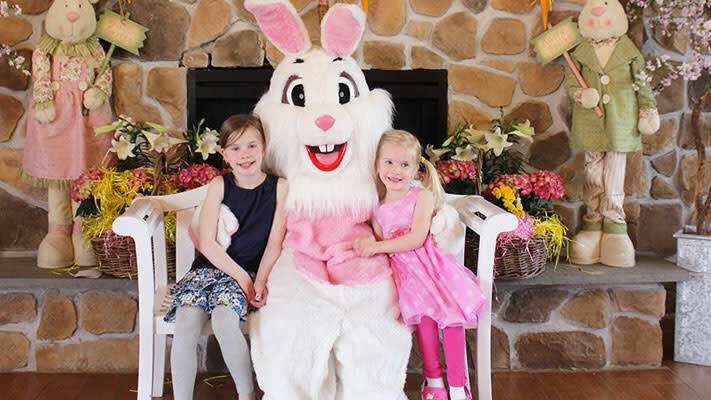 In a very short hippety-hop, Easter will be upon us (April 16), which explains the abundance of large, cheery, white rabbits, bedecked in colorful outfits, across Montgomery County this weekend. Schedule a visit, then enjoy our numerous other recommended things to do. 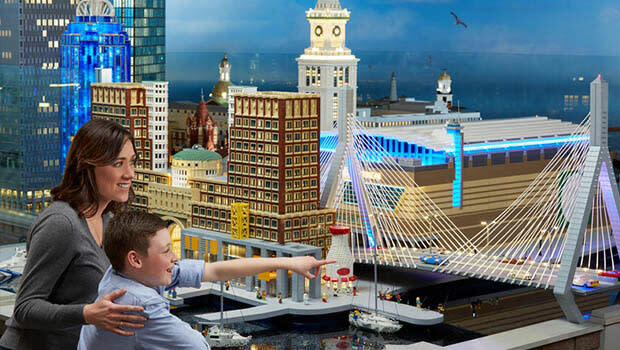 Montgomery County’s newest family-friendly adventure opens April 6 when LEGOLAND Discovery Center swings open its doors in the Plymouth Meeting Mall. The 33,000 square feet of square-bricked fun is packed with 10 play areas, including a 4D Cinema and a pirate-themed play area. 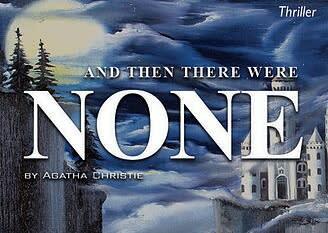 We previewed this attraction earlier this week. 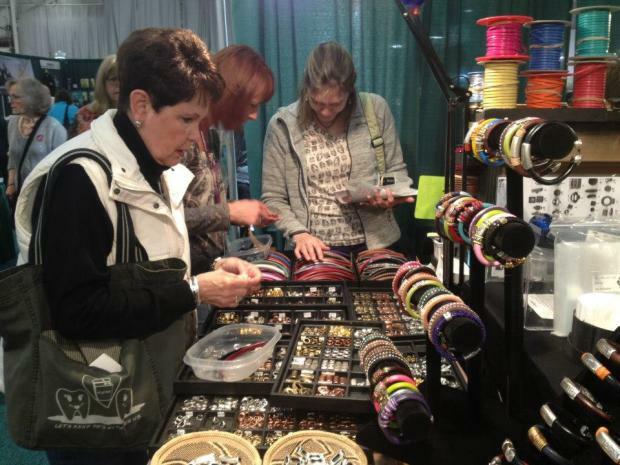 The Innovative Beads Expo at the Greater Philadelphia Expo Center strings together some of the most talented crafters in the U.S., demonstrating their art. 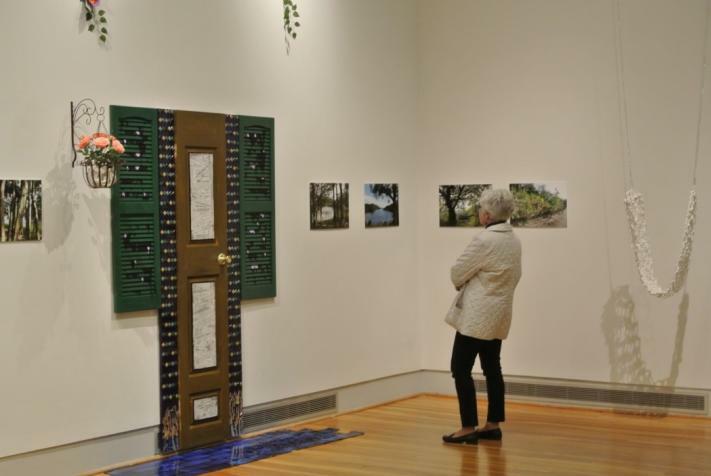 If you’re a veteran at this art, this show is full of colorful inspiration; if you’re a novice, it will get the ball rolling for you in a highly creative and enthusiastic way. 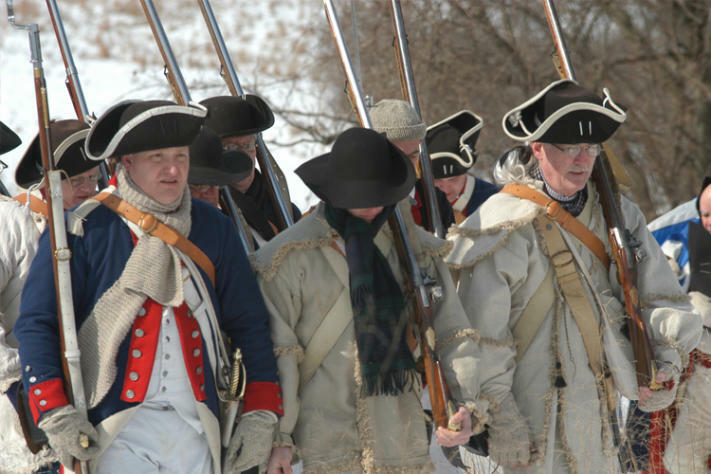 This day-long program at Valley Forge National Historical Park presents the ins and outs of daily camp life at the 1777-1778 encampment, recreated with historical accuracy by the 1st New Jersey Regiment. Presentations cover everything from military briefings to issues like rations, safety, discipline, marching and even such necessities as cooking, sewing and laundry. 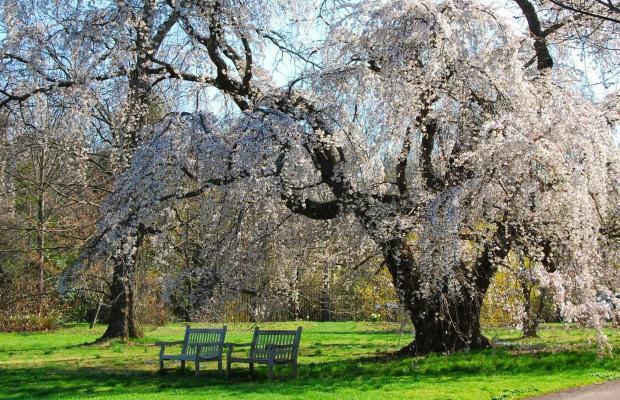 Sure, Washington D.C. makes a big deal out of its blossoming cherry trees. 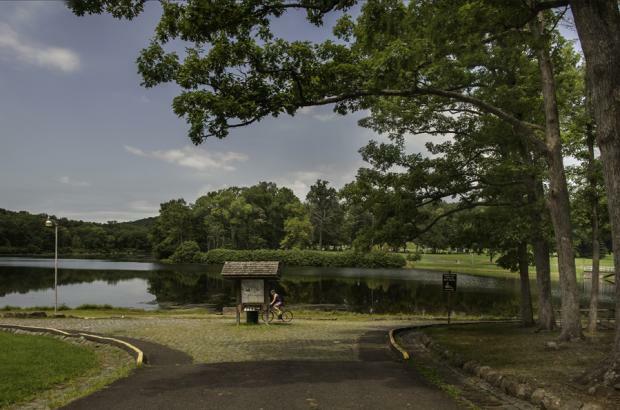 But the Montgomery County-centric tribute to branches laden with pink flowers is not only closer, it’s paired with a deep dive into the Japanese cultural influence on Morris Arboretum. The two-day event includes the thundering Kyo Daiko Drumming Crew and a traditional Japanese tea ceremony. All events are free with gardens admission. The John James Audubon Center – home to one of the American icons of art and nature – has been under wraps for months, undergoing an extensive renovation. It’s time now to take down the scaffolding, fold up the drop cloths and unveil the onsite work of the historic-artisans. Visitors can expect new exhibits in the galleries, a refresh of the library and gift shop and a recharged presentation of the home’s history. In celebration of this re-do, admission from April 8-23 is free. When Philadelphia’s favorite football team is encouraged to “Fly, Eagles, Fly,” it’s usually on the wings of Swoop, the team’s fabulously feathered fan. Elmwood Park Zoo, a destination that never shies away from a good celebration, is throwing Swoop a birthday bash. The party takes place in the picnic pavilion, and the guest list – still being formulated – will be extensive enough to ensure that no sports fan’s feathers are ruffled. Join the Delaware Valley Orienteering Association (DVOA) at Lower Perkiomen Valley Park to try orienteering – the activity of using a map to find locations, much like a treasure hunt. Instructions on basic orienteering will be from 10-11 a.m., and then you can try it for yourself on a beginner course. Early Pennsylvania potters use the “sgraffito” technique to scratch designs onto redware plates. 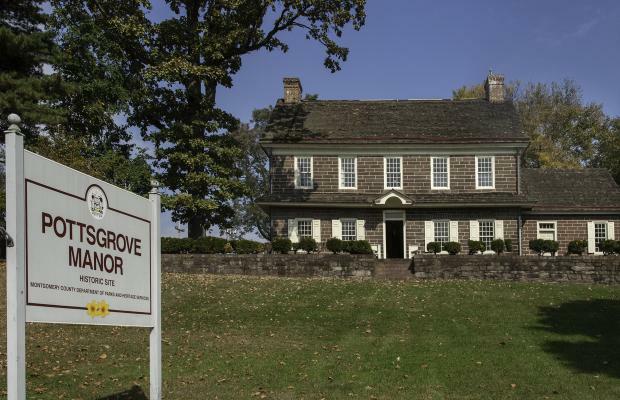 Pottsgrove Manor hosts a workshop to give visitors and hands-on experience of this beautiful, unique art form. Class size is limited, so early registration is recommended by April 1. Each attendee will walk away with a plate that he or she will be proud to display. Every spring, the Perkiomen Watershed Conservancy provides community members the opportunity to clean up trash, scrap metal, tires and pollutants from local creeks and streams. The work is significant and impactful; since 2010, for example, nearly 800 spare tires have been removed from the Perkiomen Creek in Schwenksville and Skippack. Volunteers can sign up online. 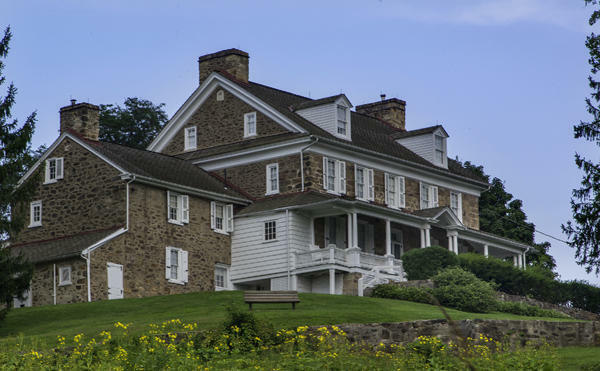 The Norristown Preservation Society hosts a craft fair at Historic Selma Mansion, with proceeds going to the long-term restoration of one of Montgomery County’s most historic homesteads. Browse the many vendors’ wares, buy a basket raffle ticket and send the kids toward the lollipop pick. The bargain admission of only $5 opens wide access to gently used clothing and accessories for women, men and kids from infant age up. The event benefits Pillars of Light and Love (511 West Main Street, Trappe), a nonprofit organization that helps clients in areas of stress and life management. Refreshments and massages are also available. The date and time for this egg hunt and storybook session is ideal for busy families with a jam-packed weekend. It’s Friday, April 7, from 6-7:30 p.m. Kids six and under will hunt amid an array of cartoon cutouts, making some truly unique photos. The cost is $7 for township residents; $12 for all others. 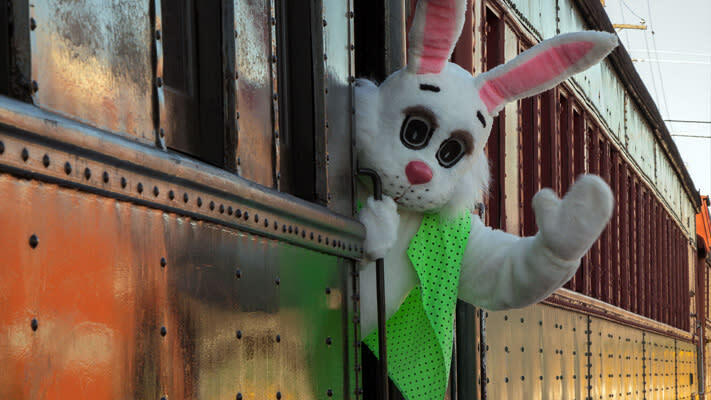 Colebrookdale Railroad puts an interesting spin on the traditional egg hunt, staging it right in its dining, coach and open-air cars. Pitched at children eight and under, excursions can also be coupled with brunch, lunch or dinner. 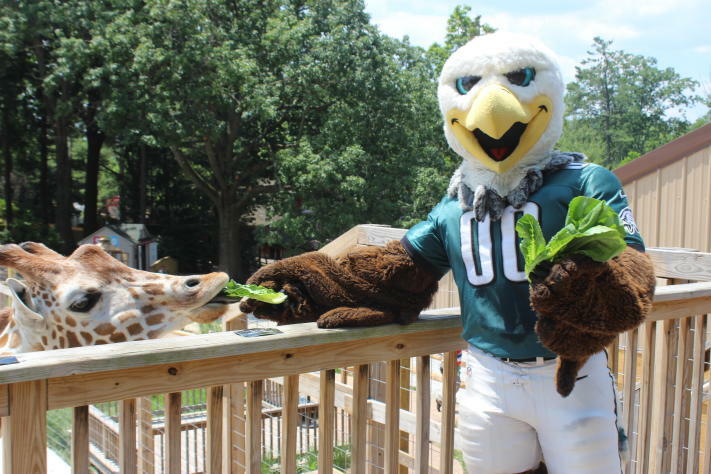 Norristown’s traditional Easter Egg Hunt (and Bunny Brunch) at Elmwood Park Zoo has gotten so popular that it often sells out (two of the April 8-9 slots are already booked solid). So if you want tickets to this hunt, which starts with a hearty hot brunch buffet and includes music, crafts and photo ops, hop to it. First-timer tip: Have the kids bring an empty basket. Narberth Playground will be hopping on April 8 with not only Mr. Easter Bunny but his wife, Mrs. Easter Bunny. They’ll be overseeing this free event where kids will comb through the springtime grass looking for delicious loot. The hunters will be separated by ages, ensuring that everyone has a chance at finding their maximum capacity. The event is free. The morning of April 8 springs forth at West Laurel Hill Cemetery with a full morning of activities that hop to a start at 10 a.m. Wayne Art Center leads the creation of crafts, and kids can also get their faces painted, have a caricature drawn and get balloons. The 11 a.m. egg hunt has sweets well worth searching for; they’re sponsored by Zitners Fine Confections. The event is $10, and proceeds benefit Alex’s Lemonade Stand. Most people go to a library to search out information (or a quiet place to read). But families heading to the Horsham Township Library on April 8 will be seeking jelly beans, Peeps, chocolate and other seasonal sweets. There is sure to be plenty of loot for the 10:30 a.m. start time. The free event also includes the Easter Bunny, crafts and snacks. This hunt at Crist Farm Stand starts at 11 a.m. and is free. Dozens of eggs will lie in wait, each containing a small treat inside. But four of them contain large prizes for the lucky ducks who find them. Post-hunt, the Easter Bunny will be available for photos – also free with your own camera – from 11 a.m. to 2 p.m. The best part about this event is that it is held inside Daniel’s Lawn & Garden Center. There’s no chance an errant April shower will interrupt it. Overseeing the egg collection is the Easter Bunny, available and eager for pictures. This egg hunt at BuxMont Indoor Sports Center has two terrific takeaways: baskets full of eggs for the kids and armloads of summer camp information for their parents. The free event runs 9 a.m. to 3 p.m.
What better place to celebrate the chickies and duckies of the spring season than an active farm? Freddy Hill Farms’ annual Easter egg hunt is April 8 at 11 a.m. It’s free and suitable for children ages 2-6. Bring your own basket or bag, and be sure to dress the kids for the weather. The Indian Valley Branch of the North Penn YMCA takes over the Lansdale Applebees (Ralph’s Corner Shopping Center, intersection of Forty Foot and Welsh Roads) for a morning of hot food and hopping fun. Each child receives his or he own Easter gift, and the proceeds from ticket sales ($7 adults, $5 children) benefit Indian Valley YMCA childcare programs. Peter Cottontail and pancakes! What more could a pint-sized Easter fan want? Towamencin Volunteer Fire Company’s 8 a.m. breakfast ($8 adults, $5 children, free for those under three) is just the start to a memorable day. At 10 a.m., the crowd crosses the street (safely, hand-in-hand, of course) to Firehouse Park for an egg hunt. Willow Grove United Methodist Church is using this breakfast to help fund its music group, the Cross Roads Band. The $5 breakfast ($3 for kids seven and under) covers eggs, French toast and sausage. Following the morning meal – and a presentation of the Easter story – it’s time for pictures with Peter Cottontail. A full-scale buffet awaits the breakfast bunch attending this North Penn VFW spread with its leporine host: the Easter Bunny. The morning meal is served at 10 a.m., followed by an 11 a.m. egg hunt separated by age groups, 2-4, 5-7 and 8-9. Admission is $10 for adults; $5 for children. Celebrate Easter and spring at Pennypacker Mills by dipping into children’s crafts that include making a greeting card, a frame, dyed eggs and even a game of Bowling for Bunnies. Kids who are five and up will also leave with several projects that can be completed at home. Refreshments will be served. Preregistration is requested at 610.287.9349. Looking for a change from food-coloring tablets from the store? Join the educators from Green Lane Park to see how eggs can be beautifully decorated using natural elements. Bring your own hard-boiled dozen and leave with a basketful of unique eggs colored from nature’s palette. If this weekend of activity has you hunting for a place to nest down for a little relaxation, see our website. 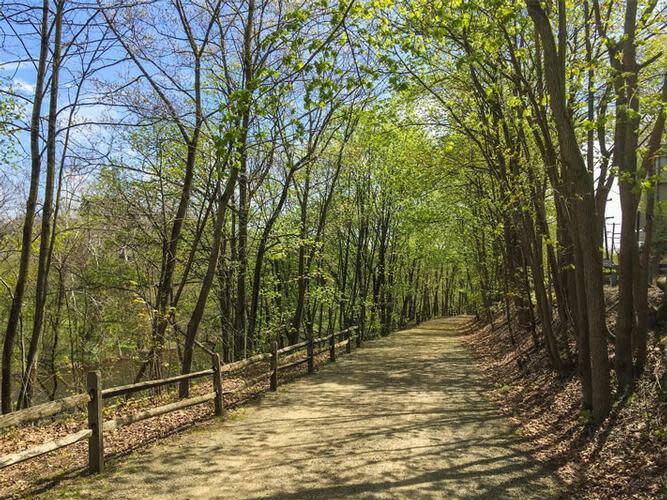 It is full of cozy little nooks that make Montgomery County weekends truly special.